We are pleased to announce a partnership between The YMCA of Trenton, Princeton University Mens’ Lacrosse, Ultimate Lacrosse, and the Bobby Campbell Lacrosse Foundation to grow the sport of lacrosse in Trenton, NJ. Trenton Lax is managed under the stewardship of The YMCA of Trenton and will continue in the tradition of education, excellence, and sportsmanship first established by the Bobby Campbell Lacrosse Foundation in 2002. It is our goal that Trenton Lax will also be supported by volunteer parents and coaches that will help guide and grow the program for years to come. The Trenton Lax Boys Program is open to all boys in grades 2-8 in Trenton, Hamilton and Ewing NJ. We welcome all boys who want to learn to play the “fastest game on two feet”. The Trenton Lacrosse Boys Program is a fully volunteer run organization. Trenton Lacrosse players and coaches reflect the diversity of Trenton. We teach boys in grades 2 – 8 the fundamental/advanced skills and values of lacrosse (e.g., commitment, teamwork, integrity, passion, community pride). We strive to make lacrosse accessible in Trenton, introducing the great game of lacrosse to boys picking up a stick for the first time as well as providing quality instruction and competition for more advanced players. The Trenton Lacrosse Program coaching staff is experienced and professionally trained, focused on developing the best in all players. The Trenton Lacrosse Program practices at Katzenbach School for the Deaf in West Trenton. 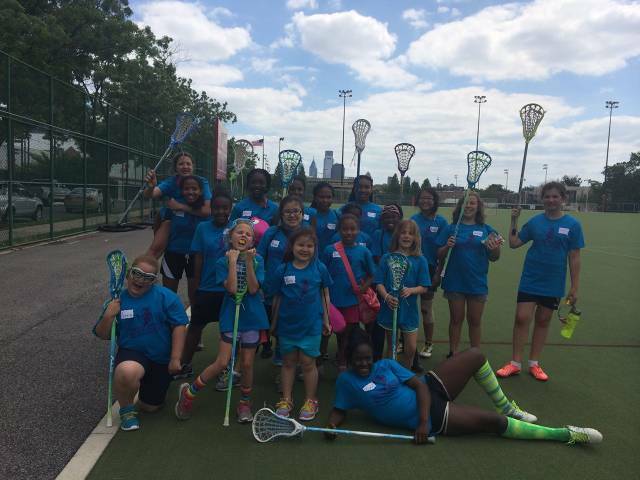 The Trenton Lax Girls Program is being managed and coached by Ultimate Lacrosse and open to all girls in grades 2-8 in Trenton, Hamilton and Ewing NJ. Our mission for Ultimate Lacrosse and the Trenton Lacrosse program is two-fold. For the athlete, we aim to create an environment that is fun, competitive and exciting. For the coaches, we are creating a mentoring program that will be specifically designed for our senior and junior club team players to give back by helping the age groups below them. We hope to teach the skills that will benefit athletes not only as lacrosse players, but also the life skills that will help them succeed off the field, including responsibility, commitment, work ethic, teamwork, accountability and leadership. For the coaches, the experience to lead, inspire and impact young athletes in our communities would be the ultimate reward. Working collectively, we know that this experience will be one for which all will benefit.